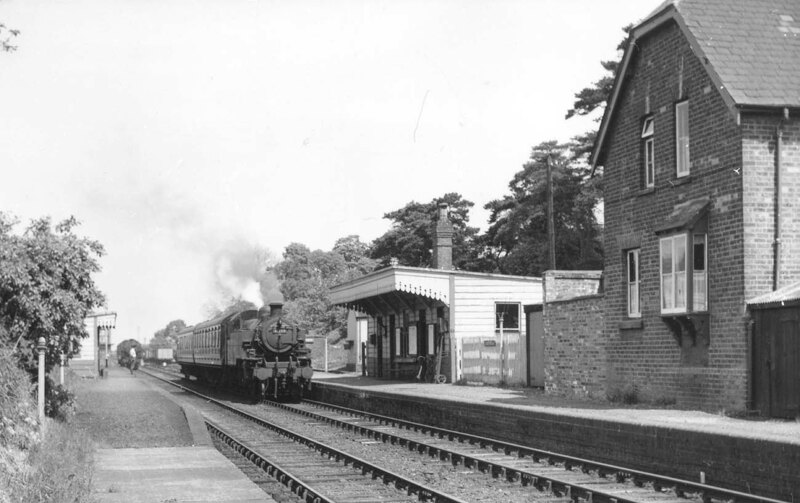 British Railways built 2MT 2-6-2T No 41227 arrives at Dunchurch station on 2nd May 1959 as classmate No 41228 departs on a local service to Rugby. Despite this being the last day of service the station still looks clean and tidy and in a good state of repair. If you would like a copy of this photograph please visit LNWR Society Photo and quote reference: SITES318.